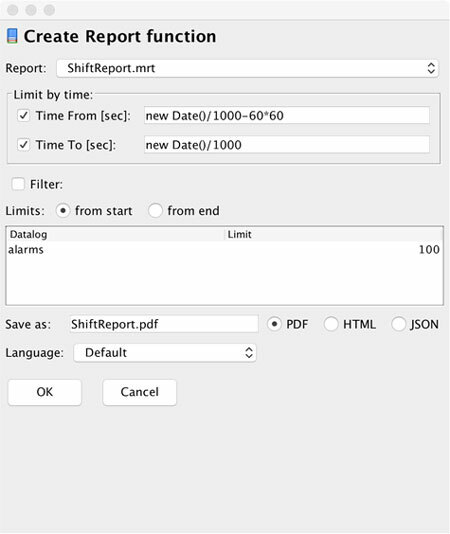 To generate a report at given time interval, use the Report function located at the script toolbar window. 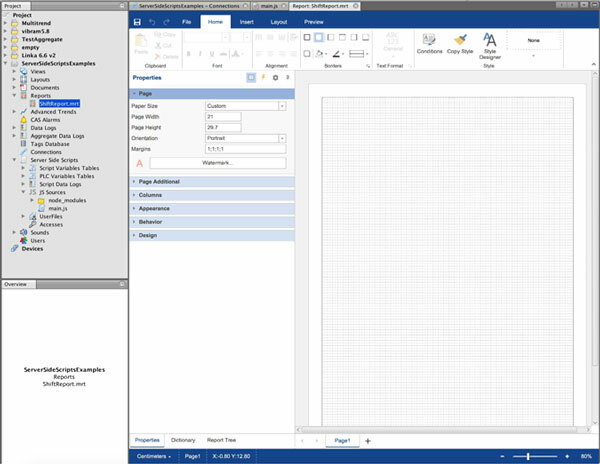 Step 2: Now design your report and press save. 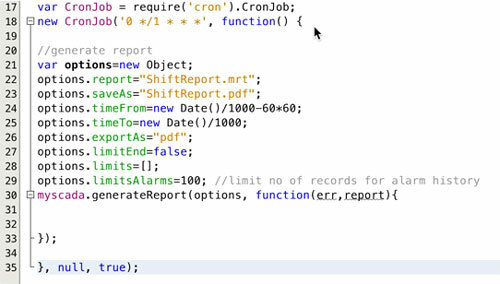 Now your report will be generated every hour. You will find the generated file in the user directory accessible over www pages or over FTP.